Did you know NASA has several definitions for a countdown?!? “T Minus”, “L Minus”, and NASA even sometimes uses “E Minus”. What do they all mean and why do we have them? NASA Launch Services Program at Kennedy Space Center can help with the translations. NASA’s Launch Services (LSP) is responsible for launching uncrewed rockets delivering spacecraft that observe the Earth, visit other planets and explore the universe. They have also had a significant hand in getting Parker to where it is today. "L Minus" time is different from "T Minus" time. "L minus" indicates how far away we are from actual liftoff& doesn't include built-in holds. Then what is “E Minus” for? Well it turns out that T and L are used for launching a rocket (with the spacecraft inside). But when a spacecraft is already in space, performing its ordinary mission, an “E Minus” time can be used to identify a countdown to a specific event. According to Tim Larson, EPOXI mission project manager as NASA’s JPL, “E Minus” stands for Encounter. So for the case of EPOXI, the encounter was for comet Hartley 2. Assuming this method holds true for other missions, New Horizons mission, that recently flew by Pluto to take the wonderful picture we have today, would have also employed a similar “E Minus” sequence for when the spacecraft was traveling towards the closest approached of the planet. In support of this memorable countdown, we tried to 3D print a digital sundial, which we will be bringing to Kennedy for you to look at in person. We give thanks to those developing the mathematics, software code and providing open source files for printing. 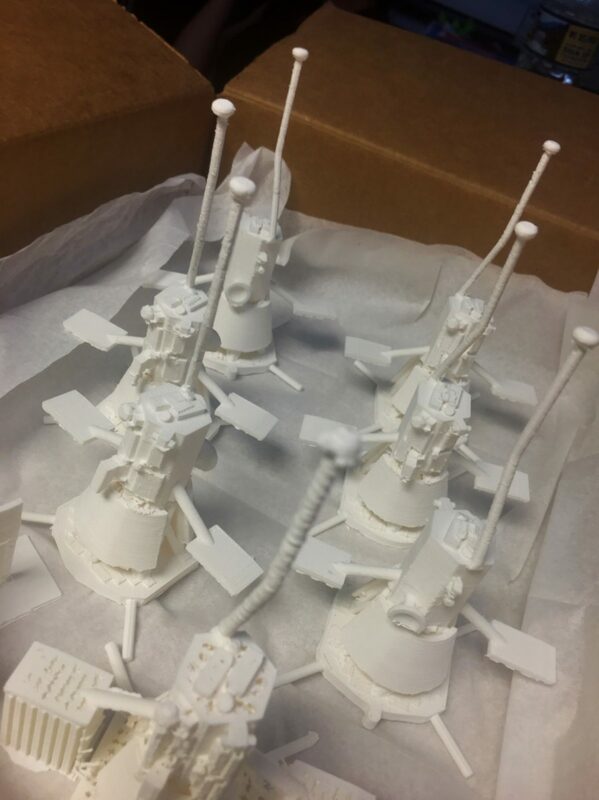 We also carefully 3D printed tiny models of our very own Parker spacecraft which you will also see when you visit us. So, has this explanation helped your understanding for the Parker Launch happening in a few days? or is there something else that you want explanations for, in preparation of the launch? if so let us know in the comments below.